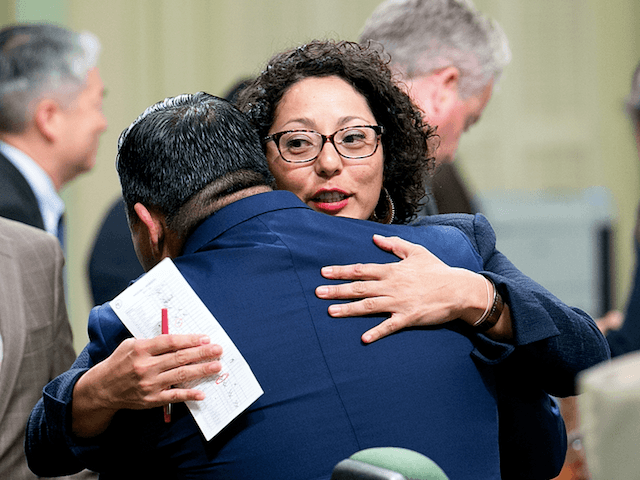 Daniel Fierro of Cerritos told Politico that when he was a 25-year-old staffer to Assemblyman Ian Calderon (D-Whittier) in 2014, an inebriated Garcia cornered him while he was alone after the annual Assembly softball game in Sacramento. She reportedly began stroking his back, then squeezed his buttocks and attempted to touch his crotch before he removed himself from the situation. Politico notes that a prominent Sacramento lobbyist — who spoke on condition of anonymity — also complained about being sexually harassed by Garcia in May 2017. Garcia allegedly tried to grab his crotch at a political fundraiser hosted by Governor Jerry Brown for state Senator Josh Newman (D-Fullerton) at the de Veres bar in Sacramento. Garcia was allegedly inebriated. She spotted him and said,”Where are you going?” the lobbyist said. Every complaint about sexual harassment should be taken seriously, and I will participate fully in any investigation that takes place. The details of these claims have never been brought to my attention until today. I can confirm that I did attend the 2014 legislative softball game with a number of members and my staff. I can also say I have zero recollection of engaging in inappropriate behavior and such behavior is inconsistent with my values.